Bernard MacMahon, gestore della casa discografica di Ayers dice che è stato ritrovato morto stamattina (mercoledì 20 febbraio 2013) nel letto di casa sua a Montolieu, nel sud della Francia. Il comune del paesino ha confermato il decesso. 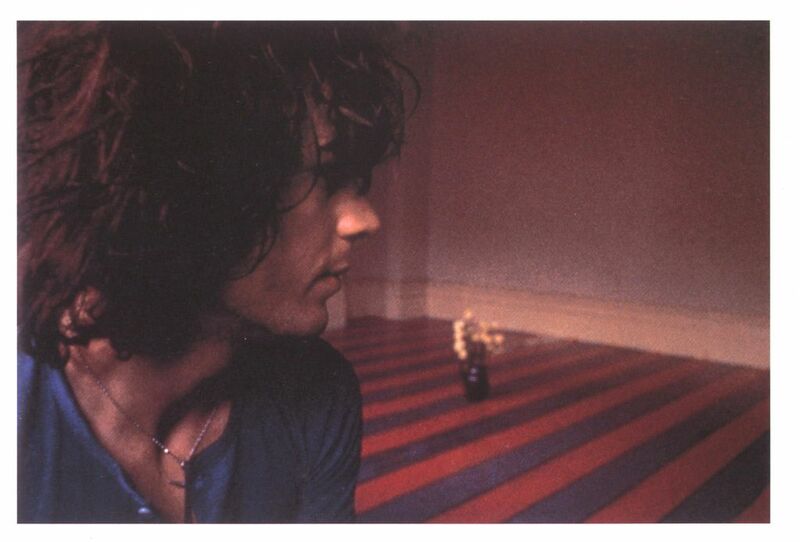 Ma chi cavolo era sto Kevin Ayers? 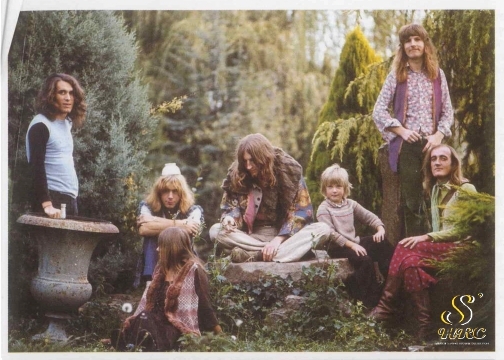 è stato membro fondatore dei Soft Machine assieme a Daevid Allen, Robert Wyatt e Mike Ratledge (tra questi purtroppo è il primo ad essere trapassato) ed è stato l’autore di molti dei brani più famosi del gruppo. Un’altro articolo di Kevin pubblicato sempre su IT si trova in questo post (è quello con la foto dei Soft Machine con Andy Summers). Bellissima la foto di Kevin…complimenti!!! Ayers non è stato l’unico ad aver suonato con Syd Barrett all’infuori dei membri dei Pink Floyd e degli Stars: per esempio in alcuni brani di “The Madcap Laughs” suonano tutti e tre i Soft Machine dell’epoca (Wyatt, Ratledge e Hopper) e in altri brani di quello stesso disco e di “Barrett” suonano (anche) vari altri musicisti che non facevano parte né degli Stars né dei Pink Floyd. Ho modificato il punto per cercare di essere più chiaro. Thanks, SHRC. That photo with Gong is new to me. Presumably Pip Pyle and Christain Tritsch alongside Kevin, Daevid, Gilli, Didier and Sam Wyatt? And what a line-up that must have been. “The house was called Chateau du Hay, which gave it a rather grander tone than in fact it had, being full of mouldering boars head’s on the walls, to the abiding horror of the vegatarian household. Kevin Ayers came here and rehearsed, but never actually joined the band, being more of a solitary person. 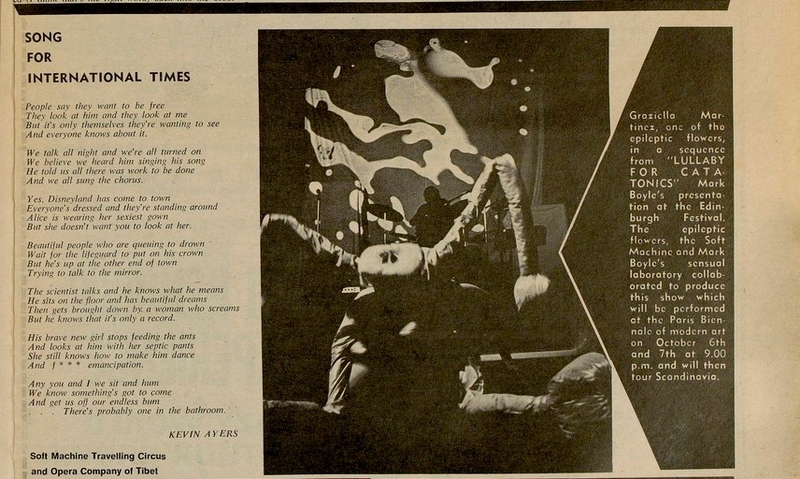 But there was a nostalgia for the Soft Machine and appreciation of Kevin’s classic songs. Rehearsals led to a series of gigs in France and England, ending with the Roundhouse and the BBC. Gigs with Kevin tended to extremes of high electricity producing some surprising results such as being teargassed by the police at the Palais des Sports, people falling off stage or people leaping on stage to join in. With Gong in 1971 absurdity and the unpredictable ruled. Under the eye of Auntie BBC, the earliest session here was rather more decorous, though still largely based on improvisation around a few structures, and a spiritual lift-off, but you get the feeling that anything could happen.” (Jonny Greene, sleevenotes to Gong on Radio (1971-74) Pre-Modernist Wireless/The Peel Sessions). The three tracks from 1971 are Magick Brother, Clarence in Wonderland and Tropical Fish/Selene. I wonder whether there are any more kicking around? Non sapevo che uno dei miei siti preferiti in assoluto fosse gestito da un italiano :).